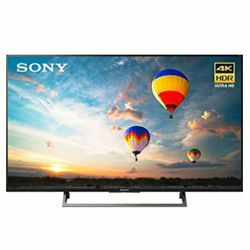 I had a chance to compare and test two solutions from Sony – Sony XBR43X800E vs KD43X720E and I would like to share my experience to help you choose the model for you. XBR43X800E belongs to the X800E series and KD43X720E is from the X720E series. These series also include other modern TV models. These TVs are 2017 year models. Both TVs belong to the mid-price range since they cost around $500. These models have the same type of the display – IPS, but they use different backlight technologies – XBR43X800E uses Direct LED and KD43X720E uses Edge LED. 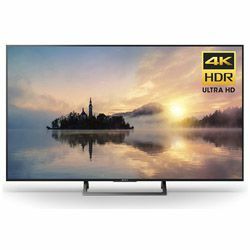 These models support the modern 4K video standard, both TVs support the 60 Hz refresh rate, but they use the Motionflow technology to process motion better – the picture stays sharp. Colors are vibrant due to the Triluminos Display technology. XBR43X800E uses the X-tended Dynamic Range Pro XDR technology to assure the high level of contrast. Comparing Sony KD43X720E vs XBR43X800E we can see some common features, like content upscaling. Both TVs are Android TV compatible. These two TVs have powerful processors so you can quickly navigate through menus. Both models belong to the “Smart TV” class, so you can access various online services. These TVs look very modern – they are slim. They have a very stable frame-shaped stand. The bezels are very narrow. Both models can be wall-mounted. The dimensions are 37.95x24.29x9.52 in for XBR43X800E versus 38.22x24.4x9.52 in for KD43X720E (with the stand, which is around 2 in high). XBR43X800E wins when it comes to the number of ports – it has 4 HDMI and 3 USB ports, while KD43X720E has 3 HDMI and 3 USB ports. Both models come with a remote control that allows quickly accessing Google Play and Netflix. The image quality is stunning – the picture is clear and sharp, even during dynamic scenes. Colors are saturated (but some customers claim that the black is not “deep” enough). Easy to set up and use. You can easily manage all HDMI-connected devices. The speakers are not great (but enough if you do not expect much). The settings may be a bit confusing. Easy to install and setup. The TV automatically finds the Wi-Fi network and connects to it. Numerous picture modes to meet your requirements – the image is always great. Great compatibility (can be used as a PC monitor). The backlight technology – it causes clouding (bright spots near display edges). The built-in speakers are not powerful (an extra solution is recommended).